The rugged MTM Black Predator II is a durable chronograph timepiece boasting red numerals as a touch of personalization. 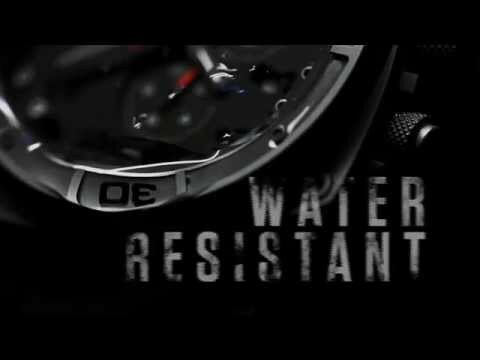 Its strength lies within its 316L stainless steel case, making it a watch that cannot be compromised. The hands of the Predator II watch are illuminated by gas-filled tritium tubes which glow up to 25 years without the need of an external light source. These glow-in-the-dark hands will come in handy if you ever go diving underwater, up to 660 feet or even at night, when visibility is low. Choose your case material, color, hands, dials, and bands using the customizer above.